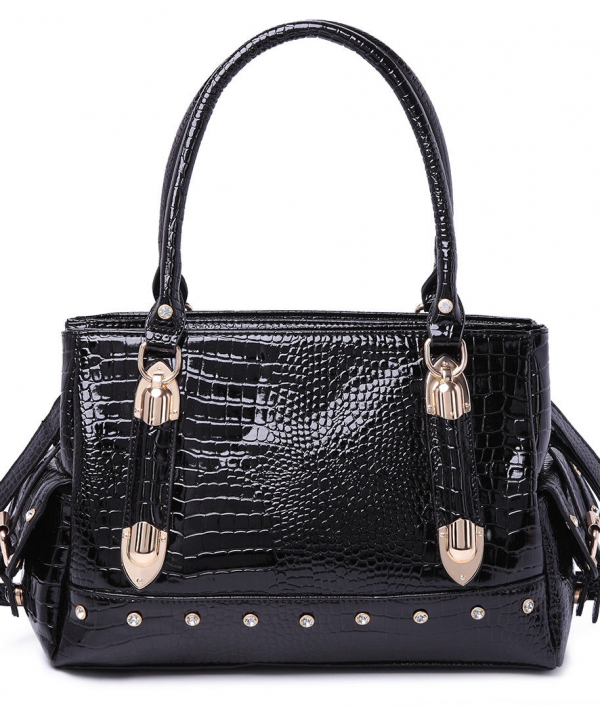 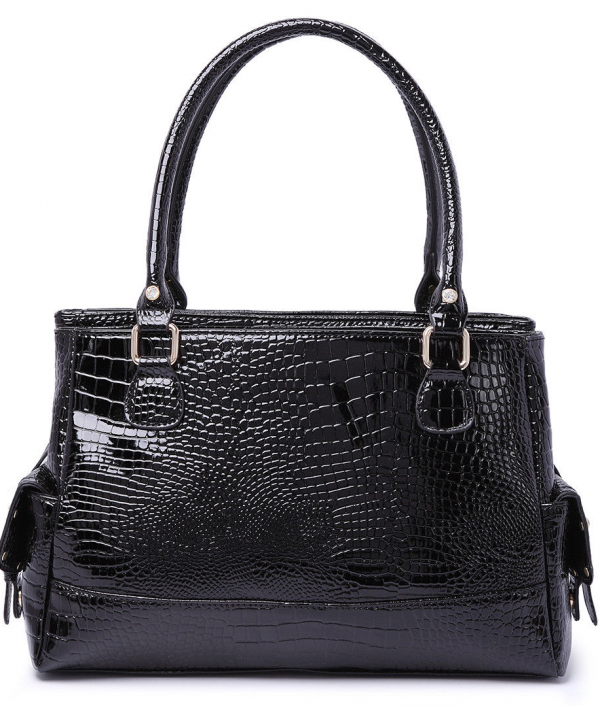 Black stylish handbag with a large main compartment with multiple pockets, also Contains inner dividers, Comes with a matching strap. 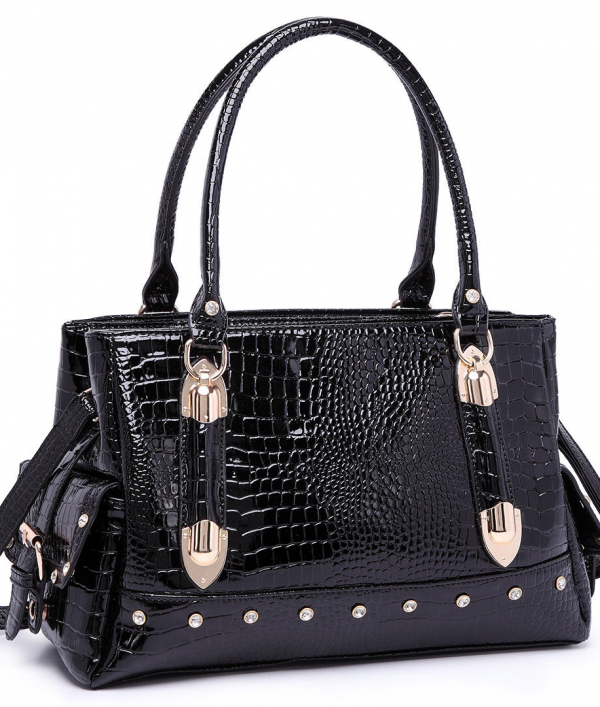 Made from high quality faux leather. 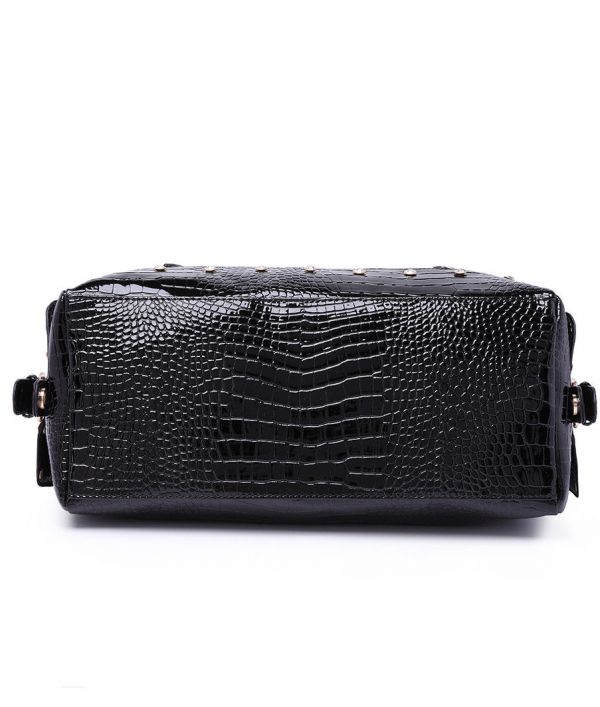 Perfect for shopping, for the office and everyday use.